As its name says, this duck has a golden eye. Males have a white spot under their eyes, making it look like they are wearing glasses. 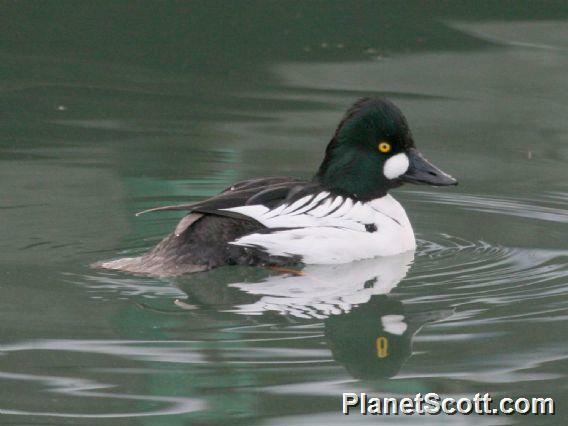 You can see goldeneyes along the Dutch coast in the winter, where they dive for food on the sea floor. They often make their nests in hollow trees. When the young ducklings hatch, they let themselves fall out of the tree in order to follow their mother to water.